In February, our experienced keeper team carefully reunited our African Lion family. 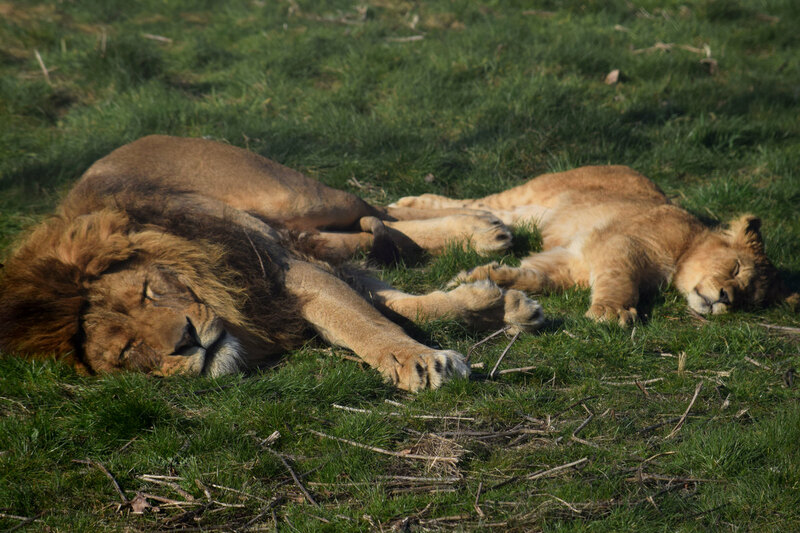 The cubs, who were born in August 2018, were seperated from their dad Masai to enable them to develop a close bond with their mother Arusha.The pair were the first African lion cubs to be born in the UK for three years. The 2 male cubs, Kojo and Tau, were named in a public naming competition on social media. Kojo means born on a Monday whilst Tau means Lion. Lioness, Arusha, chose to keep her cubs in an outside Bamboo den. The big cat keepers had no interaction with the cubs for 10 weeks other than an initial health check. The reintroduction was a success! Masai greeted Arusha and the cubs enjoyed chasing their new play mate around their enclosure. 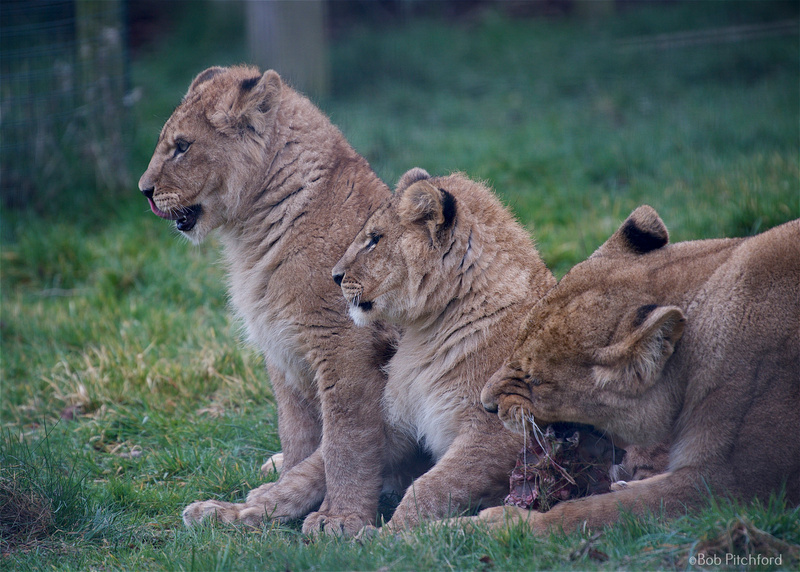 The family can be seen together at the Big Cat enclosure often playing together.